Thanks, It is very pretty, I love the delicateness of it. 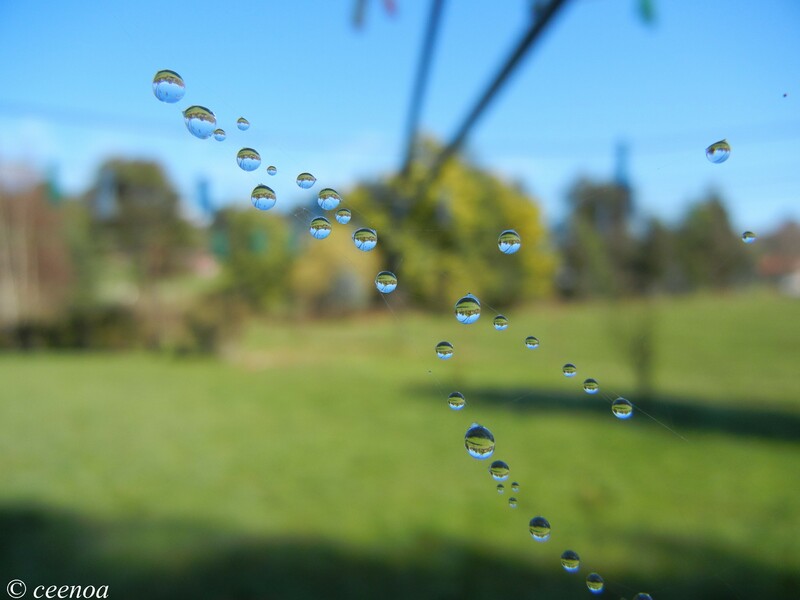 I’m loving the reflection of the garden in the dew drops. Thanks Dee, hope things are going well for you, and you are enjoying some nicer weather on your side of the world. So cool. Really love the reflection and they almost just look like they’re floating. Thanks for sharing. Thanks Jennifer, it is a lovely visual trick that nature played.